This week I was recommended by my doctor to try taking probiotics. I had never even really head about probiotics before and didn’t know the difference between acidophilus supplements or any of the other many types and strains of probiotics so this was all new ground for me. This may be too much information but I’ve been feeling like I’ve had poor digestion lately and I’ve been burping a lot more than normal and he suggested that this might help. In actuality my doctor prescribed an over the counter probiotic supplement called Align seeing as though it had been thoroughly studied in clinical settings with placebo and double-blind research. The Align probiotic in these studies was shown to have statistical significance in decreasing the symptoms of IBS in women. Obviously I’m a man and the study was on women but still the doctor thought this may help and would be the best shot over the other potential probiotics which had not shown any clinical evidence either due to research which showed no help or due to a lack or research. In any event I went home and researched probiotics and found the research study performed on the Align Probiotic complex , which you can read here in abstract form, and I learned that probiotics are a little hocus pocus right now because there are so many different strains of probiotics that one strain may be helpful whereas another could be a waste of money and with a lack or clinical research in the field it can be almost impossible to identify the probiotics which can help and which will do nothing. The Align probiotic vitamin supplement study even showed that the number of CFU in probiotics could be deceiving. One would expect that the higher the CFU the better the results. The price is even higher for higher CFU so this would make sense however the high CFU dose of Align in the study didn’t show improved results with IBS it was the middle ground CFU that showed results. This goes to suggest that a particular probiotic supplement that is the right strain and combination of probiotics may still not help much unless the CFU is in the right zone. Quickly it’s become obvious to me that taking probiotics for my digestive issues may be an exercise in futility seeing as though I haven’t been diagnosed with IBS nor am I a woman. 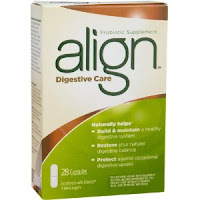 Even further making this a crap shoot I couldn’t even find Align probiotics in the store. I went to a few stores actually and because I couldn’t find it I decided to buy a different probiotic complex as a way of comparing two types on my own. I decided I would take the GNC Acidophilus Supplement, a probiotic complex with 4 billion CFU consisting of 40 percent acidophilus, 40 percent bifidum, 10 percent helveticus, and 10 percent thermophilus. Now I’m still pretty new to this but I felt this was a good baseline acidophilus supplement to compare to the Align probitotic supplement which my doctor recommended. And since I couldn’t find the probiotic complex my doctor recommended in the store I figured I’d pick it up on Amazon and compare the two by taking the acidophilus supplement for the month of September and then the Align probiotic for the month of October and deciding for myself which is the best probiotic complex for my personal situation. Will my results be applicable to anyone else? I’m not sure. 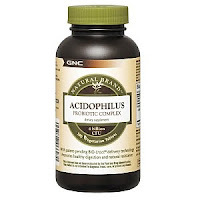 If I find that the acidophilus supplement is the best probiotic supplement then that may be simply the best probiotic complex for me and my situation alone as I’m learning that this is really a hit or miss area without the testing completed to backup health claims. I’ll have to report back here with my personal findings. And speaking of which I still need to report back on my experience with the men's face moisturizer I purchased a week ago to help with sunblock and anti aging. I'm only 30 but it never hurts to start early I guess. If you have experience with probiotic supplements I’d love to hear your thoughts down below. I started shopping today for the best face moisturizer for men with SPF. I didn’t start this week thinking I would need a good moisturizer for men but the wife looked at me a couple days ago and peered deeply into my forehead and informed me that she didn’t like the growing tan line or discoloration that was slowly appearing near my hairline which was most likely caused by sun damage. Taken aback with surprise I looked into the mirror and what do you know; she was right – I did have a noticeable line. And now that I’m 30 I should probably start caring a little more about my skin and my appearance… especially after crafting such a fine post on the best anti aging products on the market today. Why am I not following my own advice and taking care of my skin. The wife ended up telling me she wanted me to start wearing sunscreen on my face and I am happy to please her – so thus started my search for various face moisturizers for men which were both oil free, natural, would help with anti aging attributes, and were generally the best moisturizers for men that money could buy. I started my search by simply browsing through the top selling products at Amazon because frankly I’ve written a bit about anti aging creams but haven’t researched men’s products specifically. What I found was a lot of claims that Nivea for men moisturizer was one of the best however I quickly realized that it was simply a cheap men’s moisturizer and little more. Upon doing a little more digging however I stumbled upon the Neutrogena Men Age Fighter Face Moisturizer which I quickly realized was on my wish list. This facial moisturizer for men is fragrance free, oil free, all natural, and uses retinol (vitamin A) to work to moisturize the skin and reduce lines and wrinkles. It also packs SPF 15 for all day protection against skin damage and should be a great way to spend al little more money on skin moisturizer to get more benefits than the cheapest but less expensive than the top of the line. In my mind this is the best facial moisturizer for men as it is affordable but very beneficial – much more so al least over the cheapest kinds. 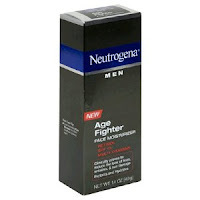 Is the Neutrogena Men Age Fighter Face Moisturizer really the best skin moisturizer for men? I don’t know but it appears to be the best moisturizer for my money. I has what I value and at a price I can afford and feel good about paying and recommending others to buy. If you want to give it a try or have any thoughts about Neutrogena or any other related products I’d love to hear from you in the comments. Did I make the wrong choice? Let me know and tell me what men’s moisturizer is better. I’d love to know. You can take a look at the product I purchased here on Amazon and give it a try for yourself - Neutrogena Men Age Fighter Face Moisturizer .